William Penn founded Pennsylvania and played a leading role in the history of New Jersey and Delaware. part in the restoration of Charles II (1630–1685) as the king of Great Britain. A close friend of the Duke of York, Admiral Penn was knighted by Charles II. With so influential a father, there seemed little doubt that William's future had promise. Nothing better demonstrates how young Penn represented his period than his early religious enthusiasm. At the age of thirteen he was deeply moved by Quaker Thomas Loe. (Quakers are a religious following who were persecuted [harassed] in the seventeenth century for their beliefs and forced to find new homes in Europe and America.) Afterward, at Oxford University in England, he came under the influence of Puritans (English Protestants). When he refused Anglican (Church of England) practices, he was expelled (kicked out) in 1662. Afterwards, at his father's request, Penn attended the Inns of Court, gaining knowledge of the law. A portrait of this time shows him dressed in armor, with handsome, strong features, and the air of confidence of a young member of the ruling class. Appearances, in Penn's case, were misleading. While supervising his father's Irish estates, Penn was drawn into the Quaker world. His conversion to Quakerism was inspired by the simple piety (religious devotion) of their religion and the need to provide relief for victims of persecution. At the age of twenty-two, against his father's wishes, Penn became a Quaker advocate, or supporter. His marriage in 1672 to Gulielma Maria Springett, of a well-known Quaker family, completed his religious commitment. Penn's background and political connections were important resources for the persecuted Quakers. A major theme of his many writings was the unfairness of persecution. One remarkable achievement during this period was Penn's handling of the "Bushell Case." Penn managed to convince a jury not to imprison a Quaker only for his faith. When the judge demanded that the jury change its verdict (decision), Penn maintained successfully that a jury must not be influenced by the bench. This landmark case established the freedom of English juries. Religious persecution and colonization (settling new lands) went hand in hand as the Quakers looked to America for a new home. Various problems with the Quaker interests in New Jersey led to Penn's heightened involvement. Penn contributed to the "Concessions and Agreements" (1677) offered to settlers, although he was not its principal author. This document gave the settlers virtual control over the colony through an elected assembly, or group of leaders. It also offered a guarantee of personal liberties (freedoms), especially religious toleration and trial by jury, which the Quakers were unable to receive in England. The problems with New Jersey formed an introduction to the founding of Pennsylvania. Of major importance, however, was Penn's Quaker faith and devotion to religious and political freedom. This laid the foundation for his ideas that Pennsylvania would be a "Holy Experiment." In addition, Penn thought the colony could become a profitable enterprise (business) to be inherited by his family. Penn and his people were given control over the land and thorough powers of government. The grant, or document, reflected the period in which it was written: in keeping with new imperial regulations (British rule), Penn was made personally responsible for the enforcement of the Navigation Acts, a series of laws intended to increase English shipping. He also had to keep an agent in London and was required to send laws to England for royal approval. In several ways Pennsylvania was the most successful English colony. Penn's first treaties (peace agreements) with the Indians, signed in 1683 and 1684, were based on an acceptance of Indian equality and resulted in an era of peace. Penn also wrote promotional papers for Pennsylvania and arranged circulation of these materials overseas. The response was one of the largest and most varied migrations in the history of colonization. Moreover, Pennsylvania's economic beginnings were unusually successful. A fertile country (able to produce crops), the commercial advantages of Philadelphia, and substantial investments by Quaker businesspeople produced rapid economic growth. Despite this success Pennsylvania was not without problems. Because of oversights in Penn's charter, an area along the southern border, including Philadelphia, was claimed by Lord Baltimore. This problem was only partly fixed when Penn secured control over what later became Delaware from the Duke of York. Just as troublesome were political controversies within the colony. Although Penn believed that the people should be offered self-government and that the rights of every citizen should be guaranteed, he did not think the colonists should have full power. In order to provide a balance in government, and partly to protect his own rights, he sought a key role in running the colony. What Penn envisioned in his famous "Frame of Government" (1682) was a system in which he would offer leadership, and the elected assembly would follow his pattern. Almost from the start there were challenges to Penn's ideas. Controversies developed among the branches of government, with the representatives trying to restrict the authority of Penn and the council. Disputes centered on taxation, land policy, Penn's appointments, and defense. Other difficulties included Penn's identification with King James II (1633–1701), which brought him imprisonment from 1692 to 1694. No less troublesome was his debt. Penn's financial responsibility in the founding of Pennsylvania led to his imprisonment for debt, a humiliating blow. After England's Glorious Revolution, when James II was replaced by William III (1650–1702) and Mary II (1662–1694) as England's rulers in 1689, Penn and his family went to live in Pennsylvania. Arriving in 1699, he reestablished friendly contacts with the Indians and worked hard to heal a religious schism (separation) among the Quakers. He also fought piracy (robbing at sea) and tried to secure financial backing for colonial self-defense, demanded by the Crown but resisted by the Quakers. Penn's major achievement was the new charter of 1701. Under its terms the council was eliminated, and Pennsylvania became the only colony governed by a single legislature of elected representatives. This system, which lasted until 1776, permitted the Delaware settlers to have their own governing body. Penn returned to England late in 1701 to fight a proposal in Parliament which would have voided all proprietary grants. He never saw Pennsylvania again. Penn's last years were filled with disappointment. After the death of his first wife in 1694, Penn married Hannah Callowhill in 1696. Hampered by debts, colonial disaffection, and the general poor relationship with the King's ministers toward private colonies, Penn almost completed the sale of Pennsylvania to the Crown in 1712 before he suffered his first disabling stroke, a destruction of brain tissue which often leads to paralysis. He died at Ruscombe, Berkshire, on July 30, 1718. Dunn, Mary M. William Penn: Politics and Conscience. Princeton, NJ: Princeton University Press, 1967. Geiter, Mary K. William Penn. New York: Longman, 2000. Lutz, Norma Jean. William Penn: Founder of Democracy. Philadelphia: Chelsea House, 2000. 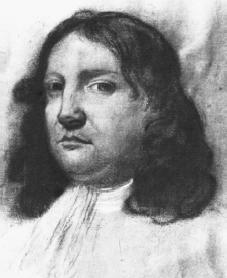 Peare, Catherine O. William Penn. New York: H. Holt, 1958. Stefoff, Rebecca. William Penn. Broomall, PA: Chelsea House Publishers, 1997.
you should tell more about his children and there is not enoughf information .... like what did he accomplish in life? what did william stand for? did he change the world some how? you realy need to get more information!! Was this William Penn related to Christian Penn of Plymouth Colony and if so,how? How old was William Penn when his father died and what did William Penn die from?